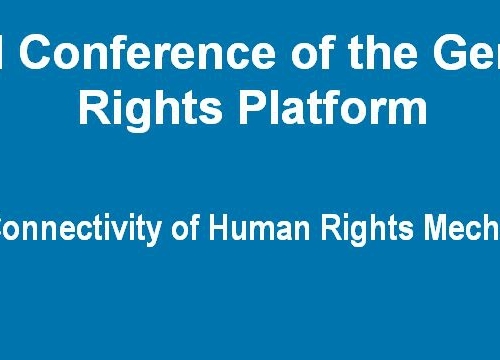 The first Annual Conference of the Geneva Human Rights Platform (GHRP) will focus on the connectivity of human rights mechanisms both within the United Nations (UN) human rights system, but also with national and regional mechanisms. 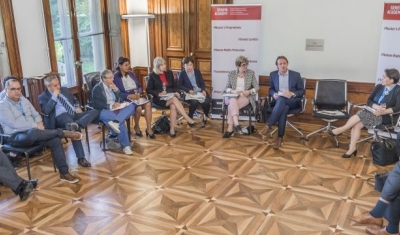 It aims at creating an annual space for open discussion on the functioning of the Geneva-based human rights mechanisms and proposals for potential improvements to keep them fit for purpose. 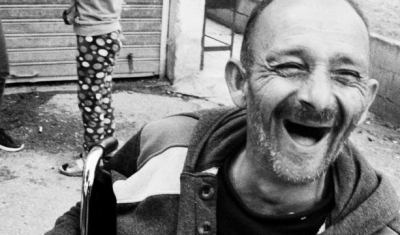 Four panels, co-organized with partner institutions, will explore the connectivity of human rights mechanisms by focussing on particular issues and on how the mechanisms address them. The first panel will discuss the specific nature, technicalities and political dimensions of peer review mechanisms and treaty-based accountability bodies. Lessons drawn from research on the functioning and impact of treaty bodies (TBs), Universal Periodic Review, but also the Trade Policy Review Mechanisms of the World Trade Organization (another peer review mechanism) will set the scene for the debates. 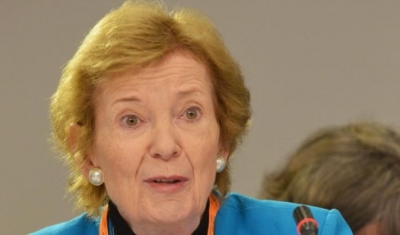 The second and third panels will discuss how the Geneva-based UN human rights mechanisms are contributing to international policy development and global debates, highlighting as examples their contribution to the implementation of the Sustainable Development Goals (SDG), and the way these mechanisms help enhancing civic space and address the challenges of reprisals against those informing and collaborating with them. The concluding session of the conference will take a comparative look at universal and regional human rights mechanisms’ role in law making; the role of conventions, resolutions and TBs’ General Comments in the creation of international human rights law and how is this law-making connects with national and regional developments. During lunch-break, a meeting space will offer an opportunity for the co-sponsors of the panels to display their materials and present their organizations. This public conference will bring together a large number of human rights actors – UN Special Rapporteurs, members of UN TBs, representatives of National Human Rights Institutions, NGOs and international organizations, academics, experts and diplomats – from Geneva and beyond. You need to register via this online form to attend the conference. 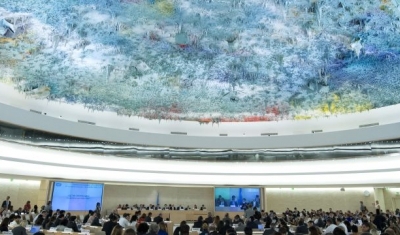 The Geneva Human Rights Platform (GHRP) provides a neutral and dynamic forum of interaction in Geneva for all stakeholders in the field of human rights to debate topical issues and challenges related to the functioning of the Geneva-based human rights system. 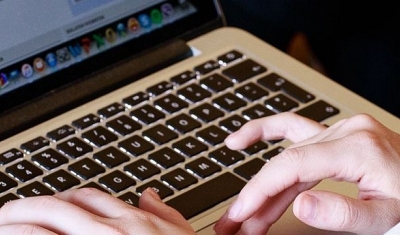 Relying on academic research and findings, it works to enable various actors to be better connected, break silos, and, hence, advance human rights. As a ‘Mechanisms Lab’, the GHRP supports the international community to engineer solutions to ensure the sustainable functioning of the Geneva-based human rights mechanisms and bodies, allowing them to address human rights challenges effectively.  The GHRP is hosted by the Geneva Academy of International Humanitarian Law and Human Rights, a joint centre of the University of Geneva and the Graduate Institute of International and Development Studies. 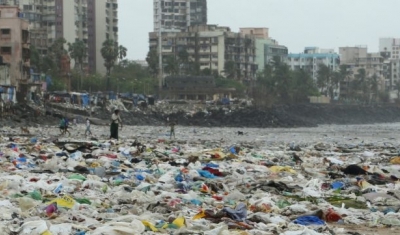 It is supported by the Swiss Federal Department of Foreign Affairs. 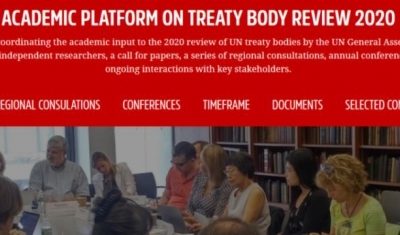 The Academic Platform on Treaty Body Review 2020 has an entirely new portal on our website, allowing visitors to easily access key information about this project, its documents, timeframe, regional consultations, annual conferences and the team.